Solid premium hardwood. 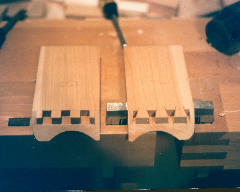 Hand cut dovetails and hand turned knobs.throughout. 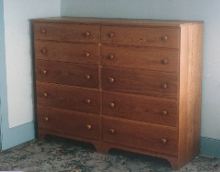 drawers to the eye’s delight. 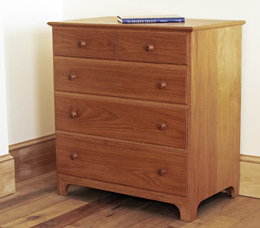 With drawer fronts and chest tops made from full length boards for a perfect match, these chests combined create maximum storage without the need of a step stool to reach the top drawers. Ordered separately, they also stand alone beautifully. simplicity and utility combined. 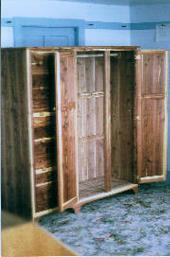 Wonderful storage for everything from bulky sweaters to fine lingerie. 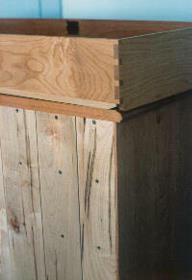 Drawer bottoms are of solid Pine or Poplar unless specified otherwise by customer choice at additional cost. 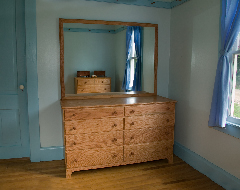 A charming piece of high end finery coupled with country simplicity, this piece will delight your senses and serve you well for years to come. 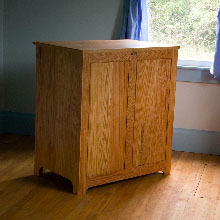 With solid cherry outside and hard maple inside it's as durable as it's beautiful. 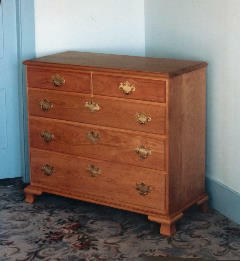 Solid brass hardware and individual keyed locks for the lower drawers. 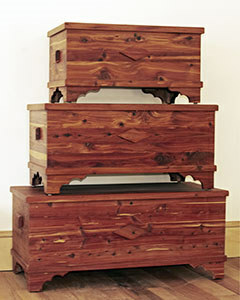 Everyone delights in the beautiful aroma of Eastern Red Cedar. 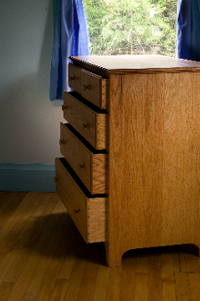 These chests are perfect for the storage of your blankets and linens. A massive piece, this is the largest in our collection. 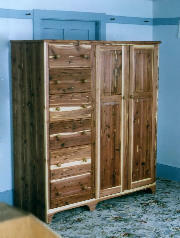 Combined with the aromatic properties of Eastern Red Cedar, if you should have only one storage piece, this should be it!